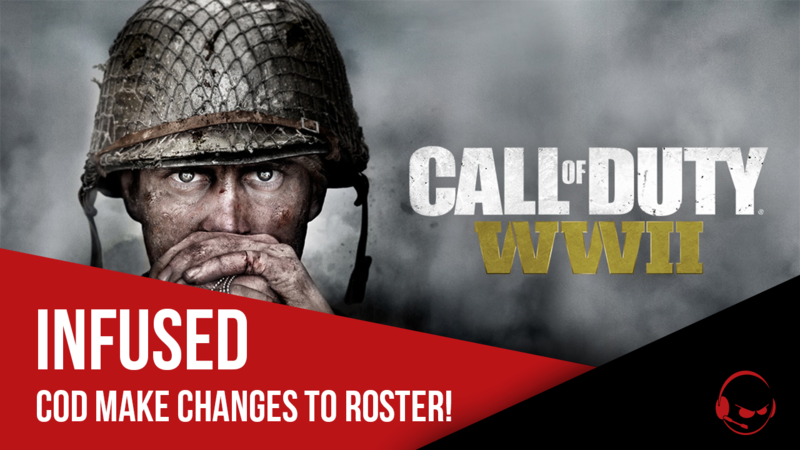 With the release of Call of Duty WWII being just around the corner, Infused CoD have made the decision to release Alex "Alexx" Carpenter from the team. We wish Alex all the best in his future endeavours. In the meantime, we would like to welcome Zach "Zed" Denyer to the Red Army! After an impressive run of results towards the end of the Infinite Warfare season, the addition of Zed to the lineup brings a talented SMG slayer to compete under the Infused banner for the WWII season. "After champs we were faced with the dilemma of sticking as a 4 and build upon our recent events together or if we should make a change, ultimately the choice came down to where we saw the best chance of success going into WWII. This led us to make a change for Zed, adding Zach to the team is our way of balancing our team composition as before we had predominantly AR players within the team and with this change we hope to increase our chances of success. We all are looking forward to getting into the next game from the get go and grinding as hard as possible as a team, striving to improve on the past results we've had while in Infused." "I'm really excited to compete alongside Nolson Niall and Zerg, I had a rough IW season and I'm looking to bounce back and prove to people I'm good enough to be at the top"
This season, the boys in red will be looking to build on the impressive ending to the previous season. They'll be ready to begin the grind on the 3rd of November when CoD: WWII is released.